PhotoTouch worked with Harley Davidson in 2014 to capture photos of guests on the Project LiveWire Tour – a tour of the United States aimed at raising awareness of the company’s first electric engine motorcycle. Guests visiting the tour were invited to take a photo on the prototype bike, which the PhotoTouch system captured and assigned a unique code to for viewing. From the iPad photo viewing display, guests were asked to provide their name, email address and mailing address before being able to share the photo to various social networks. This step helped to build the Harley Davidson CRM database for use in future campaigns. More than 13,300 photos taken at the locations were uploaded using the PhotoTouch system. 2,850 plus photos were posted to Facebook and received 50,000 views. 9,100 emails were sent with a personal, branded photograph, receiving 18,000 views. 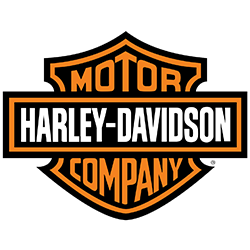 PhotoTouch’s overall work with Harley Davidson resulted in 200,000 impressions.